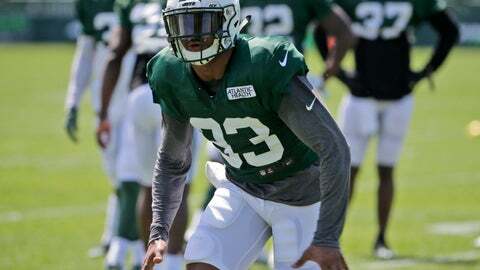 FLORHAM PARK, N.J. (AP) — Jamal Adams was surprised by what he saw when he first came to the New York Jets: a negative environment the likes of which he wasn’t familiar. The second-year safety told Bleacher Report in a story published Tuesday that the Jets appeared used to losing and some players wanted to do only the bare minimum. The interview was conducted a few months ago. Adams said he has no regrets about the comments, which made for some buzz on a hot, steamy day at training camp. Adams, the Jets’ first-round pick out of LSU last year, insisted he never meant to disparage any of his teammates. He also acknowledged that he was speaking about players who are no longer with the team, but did not identify them. Despite being in the NFL for just one year, Adams is already considered a leader on the Jets because of his work ethic and willingness to lead by example. Coach Todd Bowles said he spoke to Adams twice about the player’s comments — on Tuesday and a few weeks ago. Teammate Leonard Williams said Adams’ comments were “a little bold,” and thought he perhaps needed to say things differently — although Williams was not critical of him.